Wow, people are actually not bashing me, thx! Been a long time since i've seen someone post a NR2002 replay video. Haha! Omg! 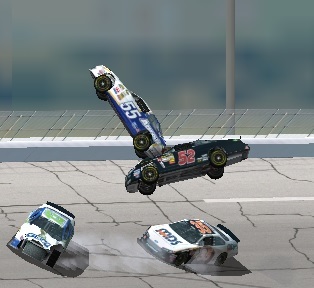 One time I was racing at talladega and I crashed with Danica Patrick, she launched and stuck in the fence. I wish I could share a pic.